As Maltese digital marketers and web developers we make sure to see where there are gaps in the local markets that can be improved with digital marketing. We wanted to challenge ourselves this time by doing something completely different. We wanted to jump into a low-margin, high volume type of business that we know we can grow quickly. It’s also a market that many thought was saturated (like most markets are), however, we do like to prove people wrong. 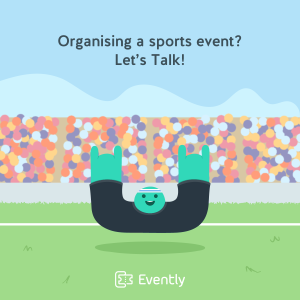 The Founders and brains behind Evently are Jonathan Azzopardi (founder of Springbox Media) and Ben Vincenti (co-founder of Trackage Scheme) noticed they could disrupt the Maltese market with creating both a ticketing and a promotion platform for every kind of event. 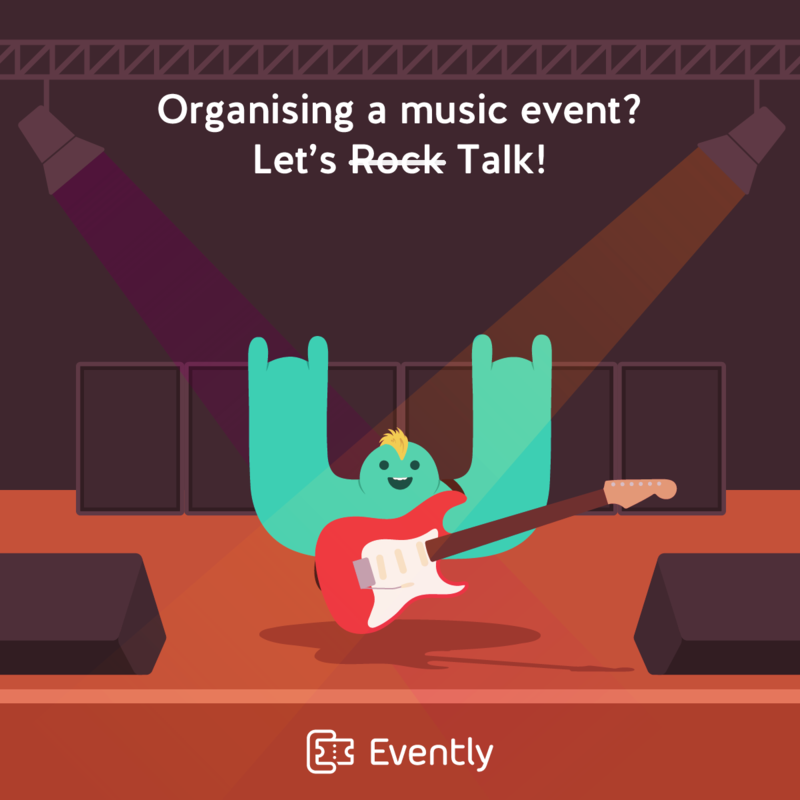 With the success of TS, which has dominated it’s niche in the alternative music scene, we decided to go wider and also enter in multiple verticals, not just shows and party tickets. 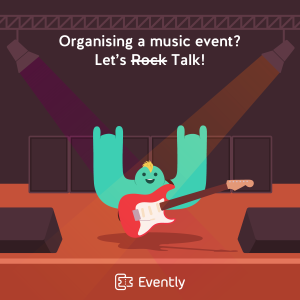 We wanted to build a product which gives a unique customer experience during the purchase of a ticket for whatever kind of event. We had a clear vision for the website’s design and as we do with all our project, user-friendliness is key. We worked hard to make the website feel smooth, responsive and intuitive. The character ‘Evo’ comes from the ‘E’ in the logo and he is the representative of Evently. It came as a joke when we initially started working on the logo when Jan our designer flipped it around and it looked like a person with his hands up. While we are usually not in favor of mascots, this one was too darn cute to pass up. Evo is there to guide the customers and organisers around on the website and he appears now and then. He also promotes the events on Social Media in a funny way. We wanted to create a fun brand and made the choice to have an informal and personal approach with the customers by making jokes, funny reminders and the nicely designed character ‘Evo’. The bright use of colours must also give a boost to the happy image we wanted to create for Evently. 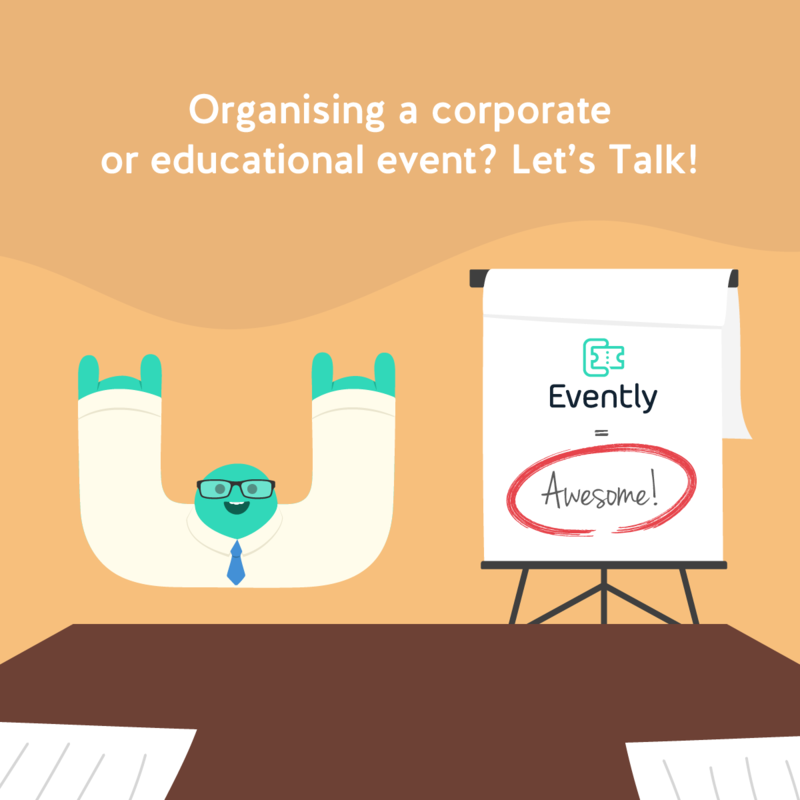 Through evently.com.mt organisers will be able to easily and securely sell online tickets and promote their events. The process is so simple that you can literally get up and running within minutes. The website has a fresh, clean and intuitive design and is extremely user-friendly. 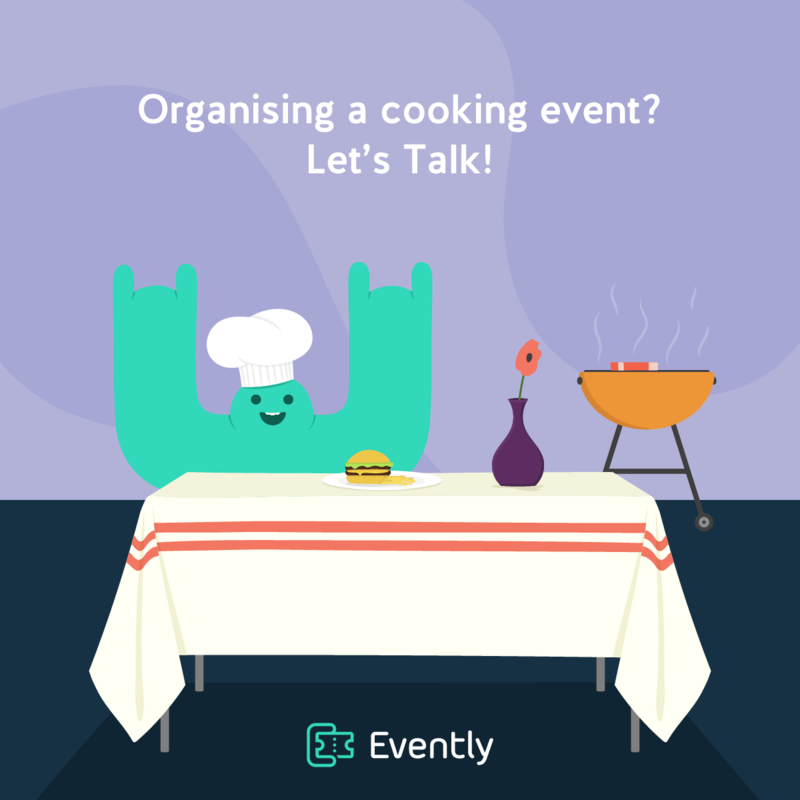 The website is designed to give events the attention they deserve. Furthermore, being digital marketing experts in Malta (who have had a record breaking year), we intend to to become the extended sales team for organisers and go above and beyond to ensure the events will be a success. This will be done through digital marketing channels such as social media, with email marketing and sometimes even SMS campaigns / radio ads / press releases and other printed material. Have a look at Evently and see how it can fit in your event promotional activities or contact us directly, we’re always keen to listen to your event promotion needs and to help you sell event tickets in Malta show you how we can be of service.